Creating new rules or enforcing old ones have become a familiar act by social media platforms. Facebook, Instagram, and even recently Twitter have tried to bring decorum and civility into our internet culture. The latest in this regulatory check is WhatsApp, the Facebook-owned messaging service that has set a limit on forwarding messages following the lynching of a woman in Central India. Rumoured to have been part of a gang kidnapping kids, the Indian government recently accused WhatsApp for facilitating the spread of the deadly fake news. WhatsApp has now restricted the ability of users in India to forward content to five chats. For WhatsApp users outside India, the limit on forwarding will be 20. Aside its quick messaging feature, and some new upgrades, I have always regarded WhatsApp as a nuisance for the reason of relentless broadcast messages. Ostensibly, broadcast messaging becomes the additive habit older generations pick up when introduced to the app, and this new restriction by WhatsApp has never felt timely. 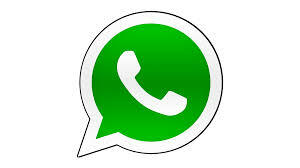 Unlike Nigeria, India is WhatsApp’s biggest market with more than 200 million users. In rural communities, it is often the primary way people access the internet. If this new WhatsApp restrictions will impact fake news culture remains to be seen though.